Fast forward five years and I’ve decided to give the game another go whilst I press the F5 key on the ArenaNet blog, awaiting a concrete launch date for Guild Wars 2. The first thing that struck me after an entirely painless patch and installation process was that the new character creator is alive and well. 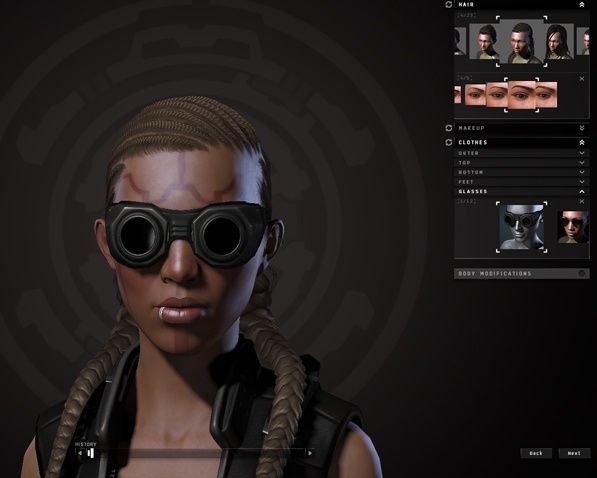 For anyone who had an existing character before Incarna who is rejoining EVE, they now have to create a brand new avatar before they get back in game. Your gender, race and name all remain the same, however, what now greets you is the finest character customisation in any video game. Unlike AION, Warhammer Online, WoW or even Guild Wars 2, CCP have removed sliders entirely and have instead adopted an entirely tactile approach to determining your appearance. It’s Rhianna! No wait, its Grace Jones! In game much of EVE remains the same, but the player is now greeted with shiny new captain quarters. It looks stunning with some brilliant lighting and it is great to finally see your avatar realised and with the ability to move. Unfortunately, there is very little you can actually do besides walk to some control panels that offer agent missions or access to your ship fitting, all of which can be used from the user interface anyway whether your near the panel or not. In principal though, CCP have made the first steps into truly opening up space stations it just seems a little odd that they chose to only allow you access to a pointless room, regardless of how good it looks. As to what I chose to do from there was entirely my choice, but here is where the EVE is odd statement comes in. For all that there is to do in EVE there is actually very little to do in EVE. It sounds ridiculous, but there are two fundamental things that instantly hit you about the game. First, travelling anywhere takes a considerably long period of time. Several friends were 40 ‘jumps’ away which on auto pilot took over 30 minutes; 30 minutes I spent doing absolutely nothing. Secondly, because skills are levelled in real time to gain access to specific ships or weapons (and to actually be able to use them properly) it takes months of training. It’s devilishly clever of CCP as it ensures that people aspiring for a particular ship or setup will keep their subscription active until they’ve finally reached their goal, as unlike traditional MMOGs you cannot power level your way to better equipment or ships. Though this results in people who played EVE since the beginning having millions upon millions of skill points and you only starting with several thousand, if you determine which ship you are aspiring to use it should only take you several months to get fully up to speed. In my case, I wanted to fly a Jaguar, a frigate ship class. It’s relatively small, fast and can be equipped with some moderate weapons and though I could already fly it, it did take me an additional 64 days to obtain every skill necessary to be truly effective with it. But this is where I began to drift away from EVE. Despite being part of a pirating Corporation and flying both a Jaguar and Dramiel I found this ‘career path’ actually rather dull. In 0.0 sector space (that’s low security to you and I) it is incredibly nerve wracking approaching warp gates, knowing you could fall victim to another player at any time as you run agent missions, but it quickly becomes apparent that to lose your ship is entirely painless. Flying a Jaguar which only costs around 40,000,000 Isk to fully equip is no great expense and undoubtedly flying more expensive crafts bears a greater risk and is more hassle to replace them. However, having had my Jaguar destroyed entirely four times in just two days whilst learning the ropes, I was up and running again within 30 minutes having repurchased everything I needed and that’s despite having my escape pod destroyed almost every time. Was I enjoying it? Not particularly and much less so than I hoped I would. My first pirating encounter was an adrenaline rush, but what became apparent to me was that encounters were never fair as we hunted for lonely victims or fled from large fleets though I suppose that is the life of a space pirate. A game of cat and mouse where the risk was a minor inconvenience at best and where combat felt like it was determined by who used a web (this slows your ship) or warp scrambler (this stops you warping out) first removed any excitement. Sadly other career paths are also slow and even less adrenaline fuelled. Mining is a laborious slow task that involves very little interaction on the pilots part, whilst exploration or courier work is also very time consuming (travelling great lengths of space that are often dozens of jumps) leaving me very few options as to what I could actually do that was physically fun. 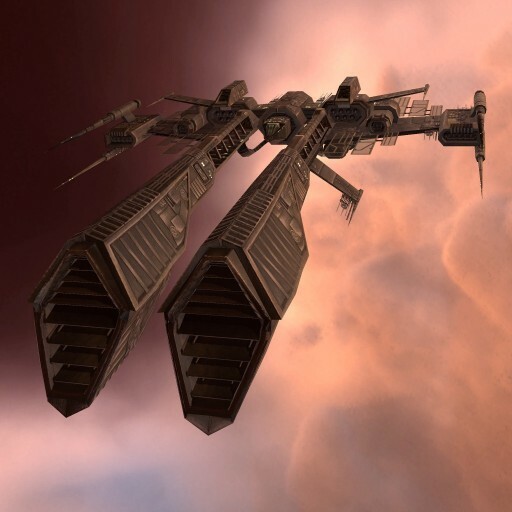 The problem I find in EVE is that it tries so hard to blur the lines between real life and videogame that much of the fun factor has been drained. Piloting your ship and actually taking part in combat is overly contrived and lacks any sense of empowerment as so much is done for you whilst ship micromanagement really isn’t as complicated or as exciting as the EVE community make out. Agent missions for those of us who enjoy combat but want to earn a little money are incredibly repetitive and still haven’t changed since I last played; forgettable stories, identical enemies and replicated encounters of “Destroy X and return for your reward.” are still present and correct. What annoyed me the most however was the user interface and how it lacked any finesse. Physically navigating between stargates and regions feels incredibly longwinded whilst something as simple as linking your location to someone else involves you dragging it from the upper left hand corner of the screen onto your chat bar. Why can’t I ‘shift + click’ my location, items, ships or enemies like in every other MMOG? What also annoyed me was the market place which is restricted to region, solar system or station but fails to cover the entire area of space (though I could be showing my ignorance of the markets mechanics here). I appreciate that this would be a huge task to detail every item in EVEs universe, but where a region might list my Jaguar as 18 million ISK there could be another region over 50 jumps away that has it as 3 million and yet I’m unable to determine how I find this data anywhere (and still can’t find out how I would determine this). Just implementing a single search button onto the UI that amalgamated everything from the Market Place to Peoples and Places would go to great lengths in streamlining the interface whilst cluttering my entire screen with the chat interface, scanning systems, space overview and targeting windows that aren’t fully customisable is less than aesthetically pleasing. 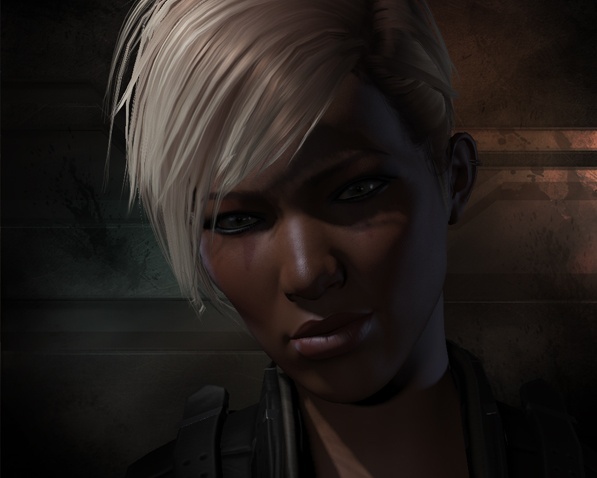 If EVE does have redeeming features it is undoubtedly in its depth of ship fittings, its graphics, the politics, its single server and community. I cannot begin to count the hours I have spent tweaking my ship to maximise its potential from its limited power output, shaving points here and there in an effort to squeeze out that extra firepower. It is a game in itself. The game looks fantastic and is beautiful at times, and even more so now that avatars have been given a new lease of life. It must also be said that the community is one of the friendliest I have ever encountered who are so generous and more than willing to help anyone. Sadly and just like in real life there are long periods of boredom, loneliness and nothing to do in EVE for those of us who have no interest in playing the market place or taking part in planetary refinement. I have found myself on too many occasions flying from stargate to stargate hopelessly in search of someone only to find nothing but space. With one month left on my subscription I’m unsure if I’ll stay in EVE. It’s such an odd game and it’s like nothing I’ve ever encountered, but I just haven’t clicked with it like I was desperate to. Perhaps I just don’t get it or perhaps I’m just not cut out for life in space like the thousands of others who are lost amongst the stars. ← Proto-Celebrity Guest Editorial: Jacob “Bear” Elert! 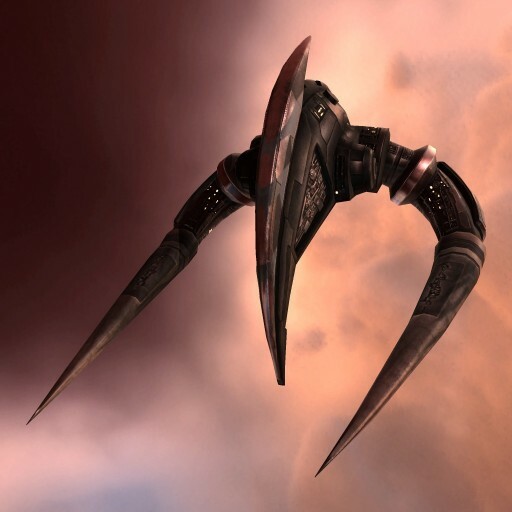 I’ve always thought the spaceship designs in EVE were awesome – but I’ve always been warned away by the gameplay, which is a shame. Awesome character creation doth not an awesome game make. 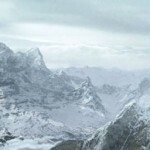 Me too, Jarrod – the graphics look delicious, and I was always fascinated by the way CCP set the game up. Some of the true stories you read online – Band of Brothers vs. the Red Swarm; the titanic battles; the final betrayal… it’s like poorly-conceived science fiction made mesmerizing because actual people were doing all this. I did play it briefly but lacked the patience for the learning curve. In the end I think EVE is one of those games that’s just FOR some people, and NOT for some people. Lewis, I salute the thoroughness with which you engulfed yourself in solitude as you drifted from asteroid to asteroid. Space is lonely, though I preferred to get my shivers from Homeworld.